Cozy place, everything packed with modern design and above all, having in mind the practical functionality. 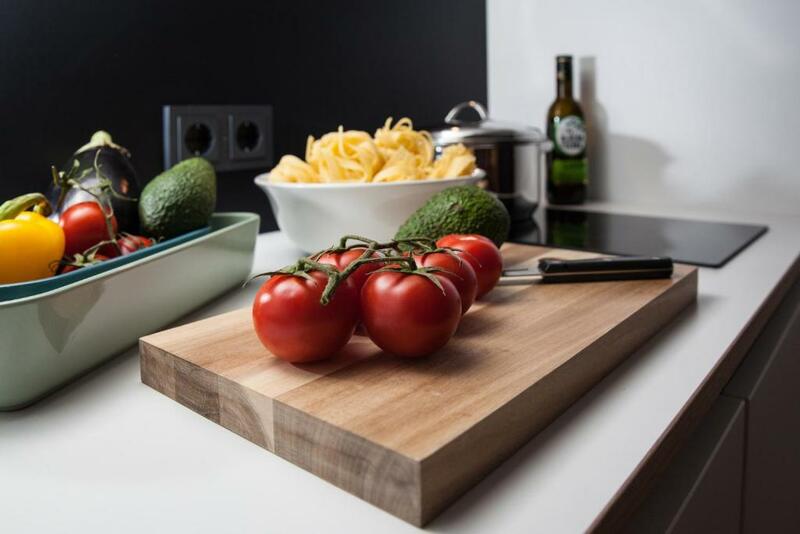 The room was equipped with a small kitchen on first sight, but basically within it was a treasure: it had a microwave, an electric stove, bread baker, coffee machine Nespresso (with 5 coffee capsules for free), and a fridge accompanies also with a washing machine. Plates, forks and everything else was there. A HD TV Samsung was available, and light bulb on a small table for late evening readings. The location, simply highly geostrategic. Close to main train station. Great value and extremely clean. Great staff! Will stay again when in Vienna. It is located in the excellent area where you can easily travel around Vienna. The check-in/out system is also easy and good. Very comfortable beds. Spacious bathroom. 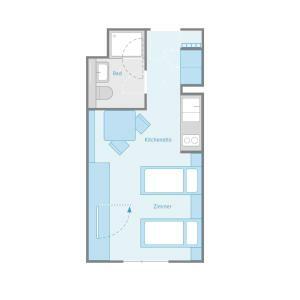 Location only 2 mins from Vienna Central Railway Station. Quiet side-street, no noise issues at all. Best value for money. The location was great. Most of the staff was friendly - some were so so. The rooms were clean and it's at a great location. I loved the laundry machine provided at the basement. They gave us access to supply room for cleaning essentials but wish they had the same for coffee//tea. Great location. Very close to Wienna central station(Wien HBF).From Vienna International Airport take about 20 mintues by OBB.Small kitchen for a little cooking.Clean room. Staff is very helpful for what I ask and what I need. Close to main train station. Spotless. Good value. I enjoyed staying here. 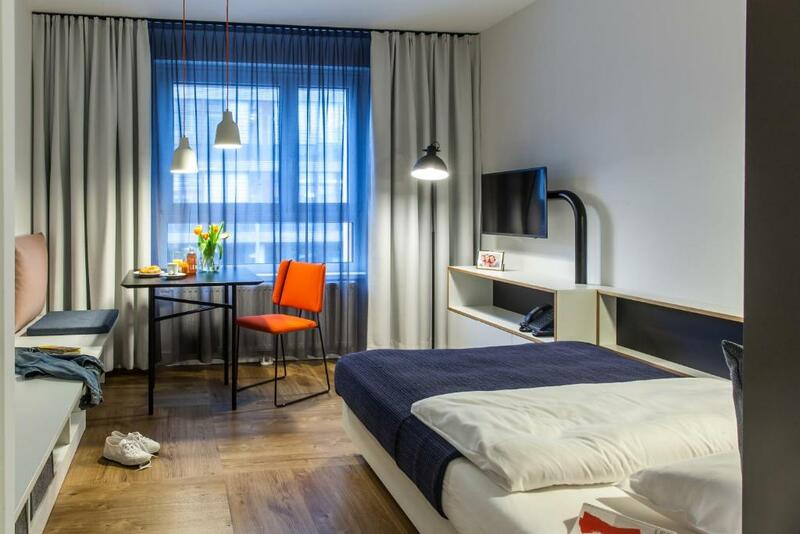 Lock in a great price for SMARTments business Wien Hauptbahnhof – rated 8.9 by recent guests! 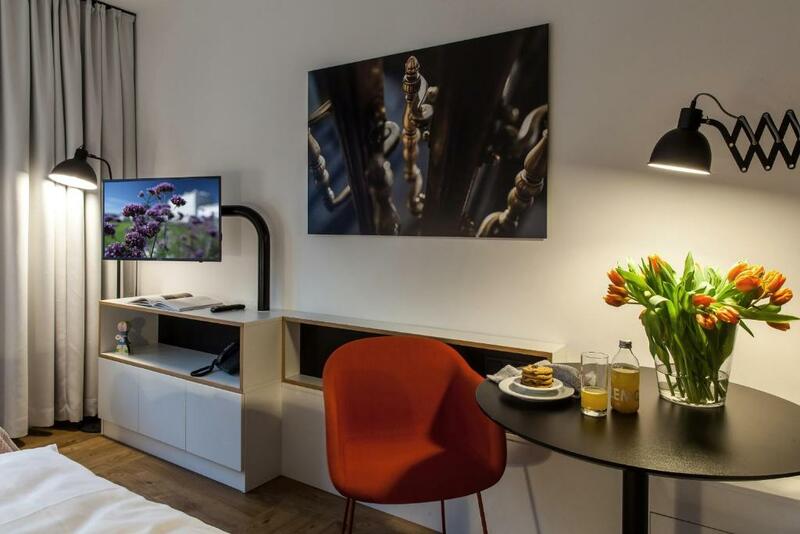 Located an 18-minute walk from Belvedere Palace, SMARTments business Wien Hauptbahnhof provides accommodations in Vienna. Complimentary WiFi is available. 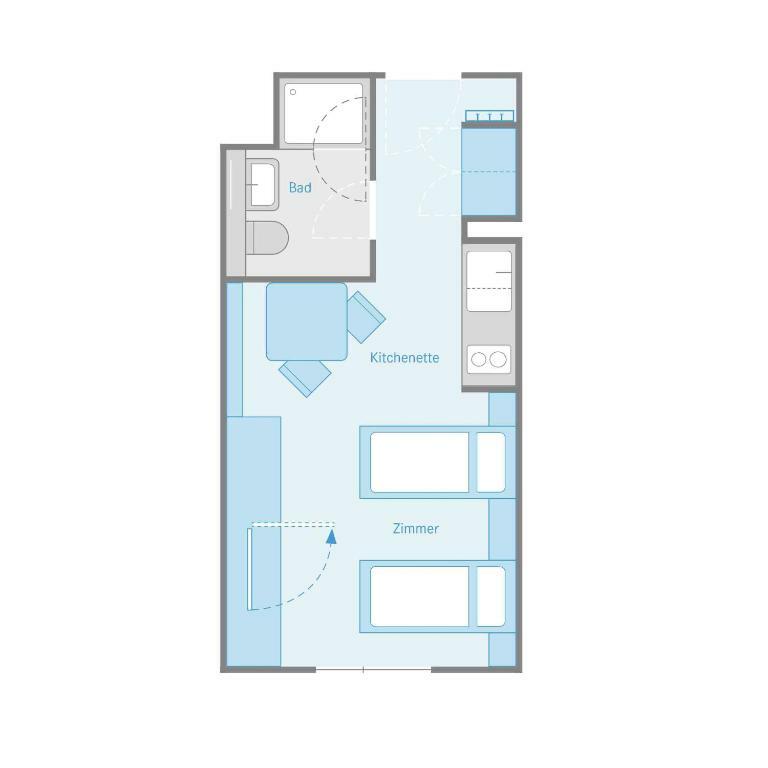 All units feature a flat-screen TV, a private bathroom with shower and a fully equipped kitchenette with a dishwasher. A microwave, a toaster and stovetop are also featured, as well as a coffee machine and an electric tea pot. Museum of Military History is one mile from the condo hotel, while Karlskirche is 1.5 miles away. Schwechat Airport is 11 miles from the property. 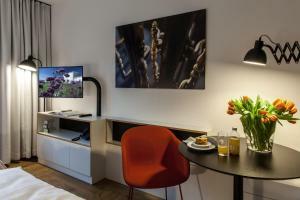 When would you like to stay at SMARTments business Wien Hauptbahnhof? 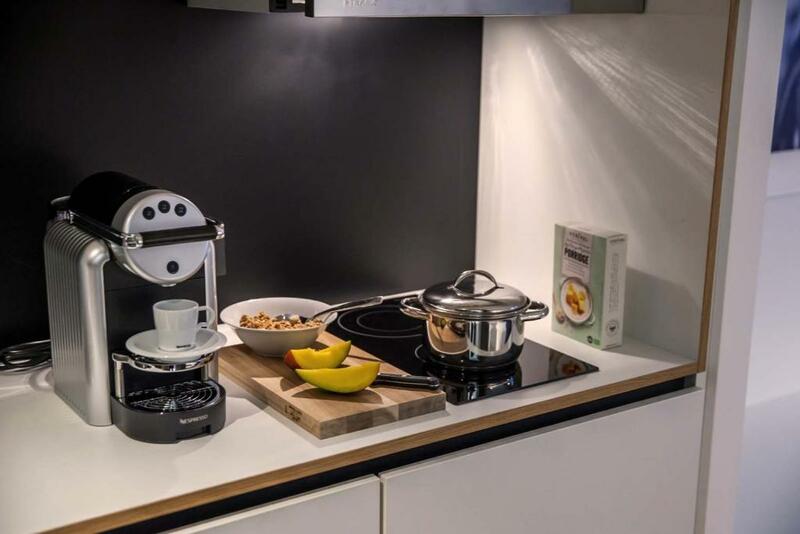 This apartment features kitchenware and kitchenette. This apartment features a dishwasher and kitchenette. This apartment has a electric kettle, soundproofing and dishwasher. House Rules SMARTments business Wien Hauptbahnhof takes special requests – add in the next step! SMARTments business Wien Hauptbahnhof accepts these cards and reserves the right to temporarily hold an amount prior to arrival. Please note that the units are cleaned once per week. Fresh bed linen and towels are available upon request. An additional maid service is possible at a surcharge. Please note that the reception is open from Mondays to Fridays between 07:00 and 22:00. Guests arriving outside these hours are kindly asked to contact the property in advance in order to arrange the check-in. Contact details can be found in the booking confirmation. A bunch of stuff was broken inside the room, the WiFi is terrible, I couldn’t work and needed to use my phone data. There is no one in the reception during Saturday and Sunday. I saw someone had self check in problem on the Sunday morning. Location is perfect. No breakfast but with supermarket near by, can be prepared by ourselves. Easy access to Vienna city and Vienna airport. Non-24-hr check-in although manageable. Everything is upon instruction, I expect more humanity. Thanks god one staff is very responsive and helpful. Very stressful stay. Nothing was working properly and the whole room had a very odd smell. Basic hand soap missing from the bathroom. The kitchen was a nightmare. After shopping for groceries in the evening, we woke up the next morning to find the refrigerator hotter than the room temperature! The food was spoiled, so we had to throw it all away. We couldn't even make a damn coffee in the morning because the Nespresso machine was leaking everywhere! Not fun at all... Do yourself a favour and skip this place. Everything was amazing! All nice and clean! The free internet wasn't even an internet it only operates on instagram and YouTube so it was USELESS we couldn't get any one to clean our room the whole stay which was 4 days. There is a disturbing blue light from the kitchen that one could see from the bed. While very little noise comes from outside, the water pipes make noise from inside. 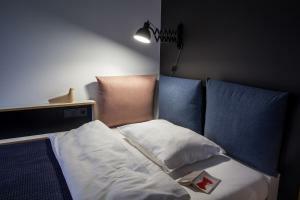 The aparthotel is just a few steps from the Main Railway Station (Hauptbahnhof). The room is brand new and fully equipped even for a longer stay. (Microwave, dishwasher, Nespresso coffee machine, etc.) Wifi is strong. There is a bakery around the corner, as well as at the railway station, where there is also a big supermarket in the basement - and a smaller one on the ground floor. The windows are soundproof, no noise from the trains can be heard.